Please read all instructions before beginning the installation of the FuelMaster. 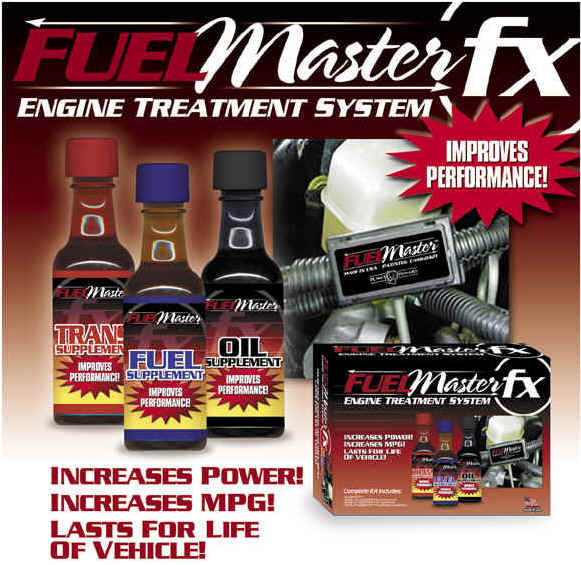 FuelMaster is quick and easy to install. No tools are necessary. Locate the inbound Fuel Line. Snap the 2 FuelMaster halves around the inbound fuel line. Thread the plastic ties through the slots on the sides of the unit. Tighten, making sure that the space between the 2 halves is approximately the same all around (if the fuel line is wider than the groove). (1) Choose Which Unit to Install? Works on Diesel, GAS, Petrol LPG & Natural Gas. Install on 3, 4 or 5 cy. engines, Lawn Mowers, Mopeds, Small Tractors or liked sized engines. Also use on Older V6 Carbureted Engines Motorcycles ATV's & Recreation Vehicles. Use for Home Heating Systems Nat Gas. Installers Fingers are On Inbound Fuel Line on 4 Cyl. 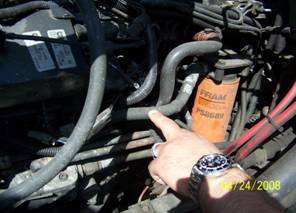 To locate the inbound fuel line, find the vehicles fuel filter. The Fuel line is approximately the size of a dime. It's usually black or silver and is most often located on the inside, left side (drivers side) of the chassis (frame). 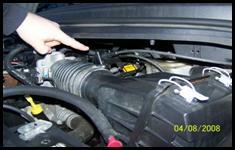 If necessary, trace the fuel lines coming out of the fuel tank. 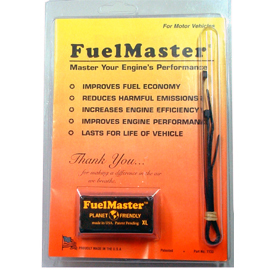 When you locate the fuel filter, install FuelMaster only on the one fuel line that comes directly out of the fuel filter, between the fuel filter and the engine (towards the front of the vehicle). The other "wrong" line is the outbound fuel line, which returns excess fuel back to the fuel tank. FuelMaster must be installed only on the inbound fuel line that supplies fuel to the engine in order to work its fuel savings and emission reduction benefits for your vehicles. Please Note: FuelMaster begins working as soon as the unit is properly installed upon the inbound fuel line of your car's engine, initial results may vary and will improve as you drive your vehicle over the next 600 to 1,000 miles. Optimum benefits for your individual car should be attained and level after the 1,000 driven miles. You may have a break in Period for the FuelMaster. Below Outlines Data for Bigger Machines: Install must be with a Mechanic assistance to insure we have installed on proper fuel lines. Each Cylinder may need a FuelMaster on that fuel injector line. So two designs happen: 1. Install the units back to back on the one main inbound fuel line to the big engine OR 2. 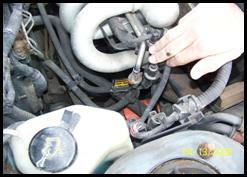 Put one unit on each fuel injector line to each engine cylinder. As a Rule we outline baseline data below and you may need to adjust to fit the power of the machine. We do recommend only using the FuelMaster XL Model Why? It has more magnetic power to affect the fuel going into these rigs engines for Petrol or Diesel fuel. 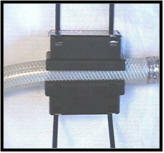 Either type of fuel can be positively affected using FuelMaster units. Earth Moving Machines: 4 XL’s installed back to back on fuel line or one on each Injector. On Big Rigs or Top Kicks: Install 3 XL’s On Fuel Line Where Installers Fingers are left Side Fuel Delivery Hose or on the Right picture--You must install one FuelMaster XL per Injector line. Stand alone Machines Like This Generator Need 3 XL’s installed for the power boost on the fuel line before combustion. 1. Change the oil after the first 1000 miles. 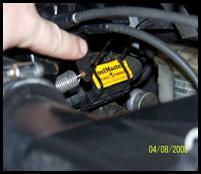 Motor oil will absorb some of the varnish and carbon build up removed by FuelMaster . 2. Disconnect The Battery for 30 minutes: This helps adjust idle speed (RPM) to the new fuel mix ratios. 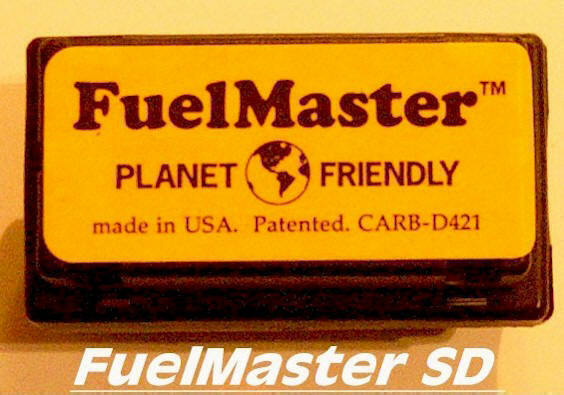 FuelMaster creates more complete combustion, therefore more power will be generated for the same volume of fuel & this battery disconnect helps reset the emissions sensor. 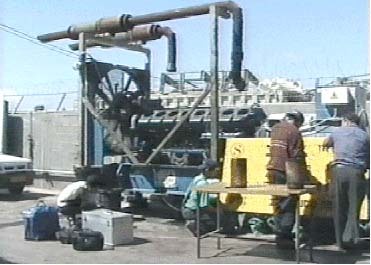 Do this process once per week during the first month of installation of the FuelMaster. 3. Check your Tire Pressure: Keeping tires full, balanced & rotated assists the process of FuelMaster performance. 4. Go Easy on the Gas & Idling: When you avoid jack rabbit starts you help improve your mpg. also eliminating unnecessary idling. turn off your engine when you not using the car. This saves gas and stops wasting your MONEY$$$$. 5. Replace Air Filters! Fresh Air flow helps increase air flow oxygen mix into your engine to help burn the fuel more completely. 6. Lighten the Load: Reduce Carrying Unnecessary Items in your Vehicle which reduces the weight your carrying. The extra stuff drags your vehicle & can reduce MPG.